We all know that each of us has a different sleeping position that we feel comfortable all night long. The matter is this difference can affect our quality of sleep if we don’t get a proper support and comfort from the mattress we have been sleeping on. For the sake of a good night’s sleep, what side sleepers need from their mattress? 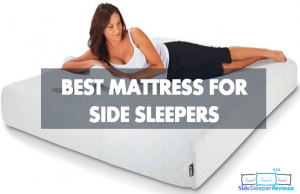 Keep reading the best mattress for side sleepers below, we’re going to offer the useful information associated with side sleeping position and best choices for them. There are plenty of options for best mattresses for side sleeper out there. They may make us confusing when it comes to choosing the best one. To narrow down your list, we put together the best mattresses as below. All of these are highly rated by costumers, and most of these got over 3 thousands reviews from the customers on online shopping sites. In addition, all the mattresses are chosen meet the requirements for side sleepers including: soft to medium firmness, great support, bearable or no heat retention. Definitely, they also have the differences in prices, materials, solutions for cooling feel and policies. Check the information from the company the mattress comes from if you need more. This Zinus mattress is constructed from 4 different layers of memory foam for total 12 inches in thickness. The conforming foam will be easy to conform to your body shape and let you sunk a bit in the mattress. in addition, it can relieve pressures points across your body, especially on the shoulders and hips. Hence, you can feel supportive and comfortable all night long. What’s more? The foam used for making the construction of this mattress is infused with green tea, which provides more cooling feel for sleepers. Lastly, this is also a best-selling product on many online shopping sites. This proves its great quality and it will be worth your investment. Tuft & Needle Mattress is an all foam mattress constructed from two layers, which comes with 10 inches in total thickness. The top layer is made of 3 inches of Tuft & Needle’s proprietary foam, a poly foam with a 2.9 lb density. This layer will provide sleepers a nice contour and great pressure relief. Meanwhile, 7-inch-poly foam with a density of 1.8 lbs is used to make the foundational support for the mattress. Due to this unique design, the mattress is fairly soft to sleep on, which suits the needs of side sleepers. 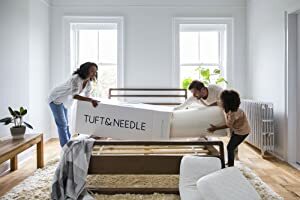 Especially, this Tuft & Needle mattress comes at 6 – 7 out of 10 on the firmness scale, which is ideal for not only side sleepers but also back sleepers. 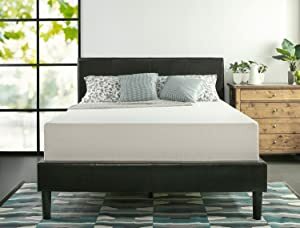 Signature Sleep Memoir is a 12-inches mattress and designed with two layers of foam including 3.5″ Memory Foam for top, and a8.5″ layer of high density foam for base. Due to its unique materials and construction, this signature Sleep Memoir can provide a balanced support for sleepers. The nice comfort and softness can be easily felt right from the initial touch and lying. In addition, it can help minimize the pressure points on your shoulders and hips. Along with that, the 12-inch thickness will provide an extra deep compression for you. Lastly, the cover used for this mattress is fairly breathable and easy to clean. This makes it more ideal to use. This 10-inch Lucid mattress is constructed from two layers of foam. What makes this mattress different from others is the gel infusion used for manufacturing the foam. Due to this feature, the mattress can prevent from absorbing and retaining heat of the foam. Along with that, the foam used for top is also ventilated, which helps improve the breathability as well. Consequentially, Lucid mattress is many times cooler than others. Lastly, the cover of Lucid is constructed from A TENCEL blend. This unique blend makes the fabric soft to feel and highly breathable. As being said, LUCID 10 Inch Gel Memory Foam Mattress is a cool mattress for side sleepers to choose. 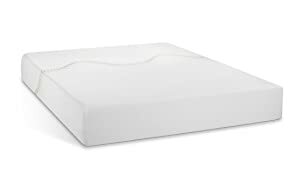 This Sleep Innovations Shiloh is fairly soft, which can please you right from the first touch. It will be contoured to your body shape and relieve pressure points across your body. Hence, you can feel comfortable all night long. In addition, the mattress also allows your spine to be in proper alignment. Along with that, the thickness of 12 inches would be ideal for heavier sleepers, it adds an extra deep compression. Lastly, there is a compliment on the aesthetic look of this mattress. It looks modern and luxury with two tones and its unique patterns. If you are looking for a best affordable mattress for side sleepers, this Best Price Mattress should be your choice. The reason is it comes under $200 and gets over 5 thousands customer reviews on Amazon. 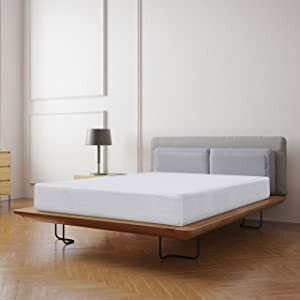 The construction of Best Price mattress includes: 2-inch memory foam for top, which is infused with charcoal, 2-inch ventilated foam used for middle layer, and 4-inch high density foam used for the bottom layer. Due to this unique design, it provides these benefits: the mattress is fairly breathable in order to always cool to sleep on. It is good at providing contour and softness, and can relieve pressure points across your body. The first notable feature of purple mattress is the Hyper-elastic polymer used for the top layer. This material allows itself to acts similar to latex, great bounce, quick responsiveness and good contour. Hence, it can please even picky sleepers. In terms of firmness, this Purple mattress comes at 6 – 6.5 out of 10 on the firmness scale. That means most side sleepers can feel satisfied with this firmness. In addition, Purple has a unique design that provides cooling feel. That is called smart grid. These webbed air pockets allow air to flow through the mattress very easily. Additionally, Purple also comes with a great cover. Aesthetic speaking, it looks modern and luxury with its diamond patterns and white tone. Meanwhile, the blend of viscose (27%), polyester (69%), and polyester-lycra (4%) makes the fabric soft, breathable and very stretchy. 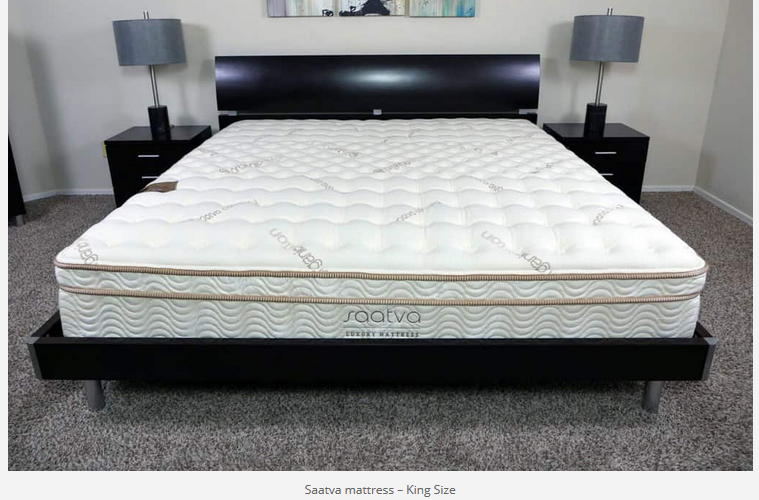 Saatva mattress is an innerspring mattress. It brings a unique feels that memory foam or latex mattress doesn’t have. 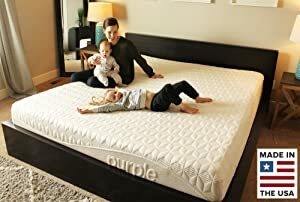 First, the coils make the mattress quick to response to every movement you make, and it is bouncy to be more comfortable when lying on all night long. Second, it is good at distributing weight evenly across the mattress. Third, the individually wrapped coils also makes it contour to every curve of body better. Fourth, it won’t let you sunk too far down into the mattress, instead, you are push on the top, meanwhile, the mattress won’t sacrifice the necessary hug feel. Lastly, the cover is 100% organic cotton, which makes it soft and breathable. 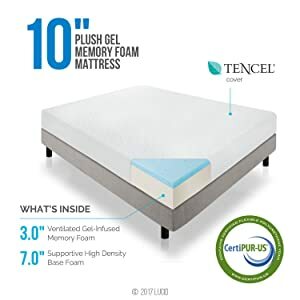 Amerisleep mattress is constructed from 3 different layers of foam including 3″ of Bio-Pur memory foam, 2″ of transition foam, and 7″ of Bio-Core support foam. These foams are good at providing pressure relief, contour and bounce. Though, this mattress isn’t infused with cooling gel, but it has Celliant instead. This component contained in the blend made of cover. Celliant can turn your body temperature into infrared light, which is good for health. As the mattress for side sleeper, this Amerisleep mattress is designed to provide 5 out 10 on the firmness scale. This means it has a necessary softness to be sunk a bit into the mattress but not stuck in the mattress. In addition, with the 12-inch thickness, Amerisleep is also a best mattress for heavy side sleepers. 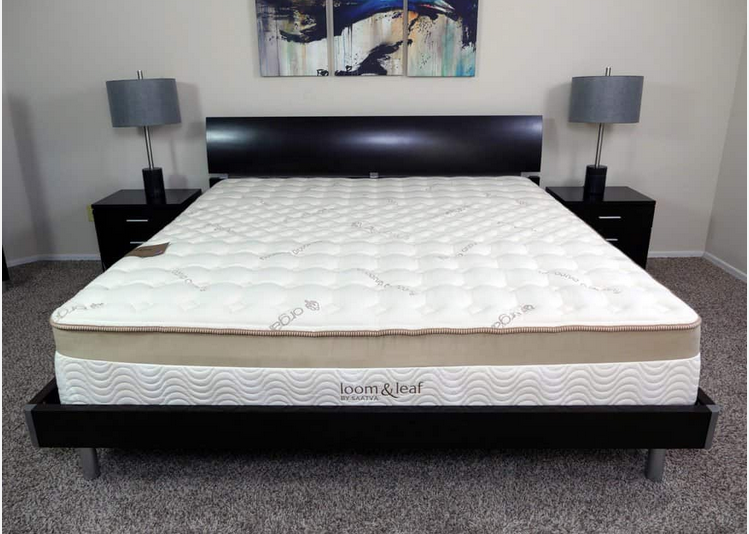 Loom & Leaf Mattress is other best cool mattress for side sleepers. That’s because this mattress has gel infusion, which prevents heat retention in memory foam. The nice thing is the foam used for making the top layer is conforming foam. This means it is good at providing contour, so your body shape will be nicely contoured. In addition, the visco-elastic memory foam used for the second layer. This material can act the same as latex does, which is responsive and bouncy. What else? The cover is quilted together with a 5/8″ layer of foam. This addsand extra cushion and softness for sleepers. Overall, there is nothing to complain about this mattress. There are still some misconception in terms of support and comfort, so what they really mean when choosing a best mattress. For side sleepers, what are their specific needs? Support – a mattress that can provide a proper support will mean it creates no pressure points across your body, especially on the shoulders and hips. In addition, it can maintain the proper alignment of your spine, neck and back. So, is support the same as great firmness? If your answer is yes, you are wrong. That’s because soft mattresses can still provide a great support. Firmness – mattresses are normally ranged from 1 – 10 on the firmness scale. Each range will suit the needs of specific sleeping position. For side sleepers, they tend to incline to soft to moderate firmness on the firmness scale. This means the firmness lies at 3 – 6 on the firmness scale. At this range, the mattress can be contoured to every curve of their body better. In addition, they can feel more hug and sinkage. Along with that, the mattress also relieves the pressure points from their neck and back. 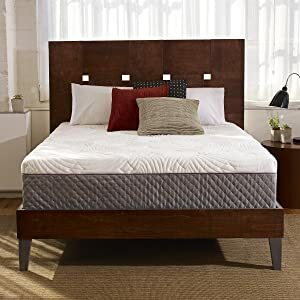 Is Thickness Important when Choosing a Best Mattress for Side Sleepers? Mostly, best mattresses for side sleepers reviews do not mention the important role of thickness when choosing a best mattress. This may be true. However, bear in mind that side sleepers can be obese people, too. So, choosing a best mattresses should be based on your weight. If you are overweight a bit, choosing the thicker mattresses than 10-inch mattresses may also make sense. The thicker mattress can help add a great deep compression for you. Many people prefer sleeping on their side due to many reasons. Whether sleepers are aware of the good and bad things when sleeping on the side? The good– according tosleep specialist, W. Christopher Winter, MD, medical director of the Martha Jefferson Hospital Sleep Medicine Center in Charlottesville, Virginia, sleeping on the side can help to avoid snore or breathing problems. It helps open your airways so you can breathe better at night. In addition, side sleeping position can help ease lower back pain. When you slightly curl in a fetal position, it helps recreate the natural curve of your spine. Additionally, sleeping on the side can help lower the risk for developing Alzheimer’s disease. The bad – sleeping on the side can lead to poor blood flow. As the many studies show, this sleeping position can increase acid reflux and heartburn at night. Additionally, sleeping on the side can cause the body misalignment. This misalignment occurs when sleepers twist or curl their legs up in opposition to the position of the upper body. What else? This movement can cause lower back and neck pain, or make them worse if side sleepers have already diagnosed with these issues. Left V.s Right Side, Which is better When Sleeping on the Side? Bettering heart function – when sleeping on the left side, the flow of blood to your heart is better, so the heart doesn’t have to work hard while functioning. Best choice for pregnancy – when women are pregnant, sleeping on the left side is highly recommended. That’s because the baby will be putting more pressure on certain areas of your body, and be pushing their organs upward, there are more space there. What else that side sleepers should consider? After choosing a right support from your mattress, you need an additional support and comfort from pillows. As a side sleeper, you may need two pillows when sleeping. One you place between your legs or knees. This pillow needs to be a bit firm, and prevent your hips from rotating. The other you place under your head, which will fill the space between your neck and head. Hence, you can keep your spine effortlessly straight and help maintain the head, neck, shoulders, and hips in a proper alignment. Budget – it is a good idea to set your budget before choosing a mattress. This shortens your buying process. Mattresses can cost anything from a few hundred dollars to thousands. And, having a small budget for a new mattress may make you worry about its quality. However, this isn’t true in most cases because sometimes the expensive price isn’t a guarantee its quality. If you have no intention of buying pricey mattresses that cost over 1 thousand dollars, there are available friendly-budget mattresses out there. Many of these are actually great, but spend time for research on information on each one you come across. Where to Buy – between physical store and online store, which one you are into? Each store has its pros and cons. Buying in a physical store helps you evaluate the quality of the mattress in person. You can touch, and feel it directly. Meanwhile, the pros of online shopping is you are unsure what you read or hear is exact or not. In addition, you have to pay an extra cost for shipping fee. However, the pros is it saves your time and you can shop from everywhere you are. So, if you are planning on buying mattresses online, read as many mattress reviews as possible. And, don’t skip the reviews from consumers left on the online shopping sites to know how the company handles transactions. The next thing you should do is check if the company offers trial period and return policies. When to Buy – perhaps, you usually buy something just because you are in need of something, or you are in the buying mood only. But, saving money is always good, right? I mean, when it comes to shopping a mattress, there are times you can get some discount on each mattress you buy. The chances that you can buy discounted mattresses are usually when the holidays like Thanksgiving, Xmas, and New Year are approaching. If you wake up feeling refreshed and pain-free with your side sleeping position, this just means you are having a right support and comfort from your mattress. But, if you have been experiencing one of issues mentioned here, this means you may need to change your mattress. If you are looking for a new best mattress for side sleepers, hopefully you’ll find the one that suits your needs.